Chinese President Xi Jinping has arrived in Seattle at the start of his first state visit to the US. Mr Xi will spend three days meeting business and technology leaders in Seattle, before heading to Washington for talks with President Barack Obama. Cyber security is expected to feature prominently in their discussions, after the US said Chinese spying was putting a strain on bilateral relations. On Monday Mr Xi denied there was any state-backed hacking of US companies. From farm to factory - Can China keep its new city dwellers healthy and happy? In an article in the Wall Street Journal on Tuesday, Mr Xi said hacking and cyber espionage were illegal, and that the Chinese government did not engage in the theft of commercial secrets or encourage companies to do so. But he said Beijing - which has previously complained it is a victim of hacking - was "ready to strengthen co-operation with the US side on this issue". US national security adviser Susan Rice had on Monday said Chinese-backed hacking was undermining long-term economic co-operation between the US and China "and it needs to stop". Media captionWhat do Americans and Chinese think about the upcoming state visit from President Xi? While in Seattle, Mr Xi will hold talks with some of the most prominent US technology and business leaders, and will visit the vast Boeing aeroplane factory in Everett, Washington state. Also expected to be on the agenda later this week is China's increasing territorial assertiveness in South East Asia. China claims a vast swathe of territory in the South China Sea in particular, angering many of its neighbours who had competing claims, and in recent months it has been carrying out land reclamation in the area. At the same time, China has been increasing defence spending and upgrading its military capabilities. The US has raised concerns with China about the build-up of tensions in the region and about the possible impact on freedom of navigation. In the Wall Street Journal interview, Mr Xi said China's work would actually improve navigation, but did not say how. The visit also comes as China's economy, which has grown rapidly in recent years, is beginning to slow, causing global concern about a fall in demand from the world's second largest economy. Recent dramatic losses on the Chinese stock markets, despite government interventions, have led to questions over how well the government is managing the slowdown. 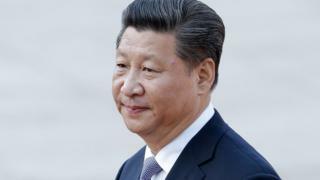 Mr Xi will be hosted at the White House for a state dinner on 25 September, and is due to give a speech to the UN General Assembly in New York on 28 September. Can China keep its new city dwellers healthy and happy?